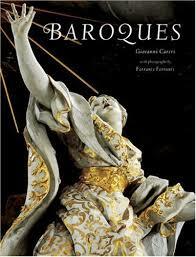 Research papers on Baroque Art talk about the art pieces that were created between the late-1500s and the early-1700s. The term “Baroque art” is typically applied to pieces created between the late-1500s and the early-1700s, with the bulk emerging in the 1600s. Baroque art is usually quite complex, and tries to evoke an emotional response in the viewer; there is often a sense of grandeur to the art, and a blurring of lines between the various styles of art used. There are several trends that emerge in Baroque art, some stemming from historical changes in the time period. As the Catholic Church struggled with the crisis of the Protestant Reformation, they commissioned several iconic pieces of Baroque art that were designed to provoke a deep, emotional response in the most devout and spiritual followers. From paintings to sculptures to elaborate frescoes, artists during the Baroque period commissioned by religious leaders worked to spiritually move their audience. Similarly, monarchies cemented their authority during this time period; this resulted in many elaborate pieces of Baroque art to glorify their title and role. The palace at Versailles, known for its sweeping grounds, ornate architecture, and elaborate gardens, is a prime example of Baroque art as representative of the power of the absolute monarch. At a time when it might seem that Baroque art reflected the idea that certain facets of society should be accepted without question – the authority of the church and the monarch, for example – there was another trend in the artistic stylings of the day that belied these other trends. As man learned more about the world around him, as more of the globe was explored and mapped and our understanding of the universe changed, images of man’s place in the natural world also changed. Epic landscape paintings were common in the later years of Baroque art, often showing man as just a tiny element of the larger image. While simultaneously venerating all those aspects of society that reinforced man’s obedience to something greater than himself, Baroque art also served to reinforce the idea that man is little more than a dot in the natural world, a tiny fragment of a world that is much larger than any one person, artist or otherwise, could ever envision. Baroque Composers - Baroque Composers research papers discuss the many composers that made up Baroque music during Between 1600 and 1750. Musical Life During Baroque Era - Musical Life During Baroque Era research papers compare and contrast the musical life of two cities or courts in Europe during the Baroque Era. Paper Masters writes custom research papers on Baroque Art and talk about the art pieces that were created between the late-1500s and the early-1700s.